Harry Harrison generously supplied the WMCA Good Guys Web Site with a terrific collection of information and memorabilia from his New York radio career. Harry Harrison was WMCA's midday air personality from 10 AM until 1 PM everyday (except Sunday). Harry has always had a great rapport with his listeners and his ratings on WMCA were always at the top. This was especially true with women. In the early to mid sixties, it was the housewife audience that listened to the radio during those hours and Harry was able to speak right to them. Harry's career later took him to "Morning Drive" at both WABC in 1968, and WCBS-FM in 1980. Harry is still has one of the highest rated morning shows in New York radio with millions of fans who wake up with him each day. Harry Harrison At Work At WMCA! 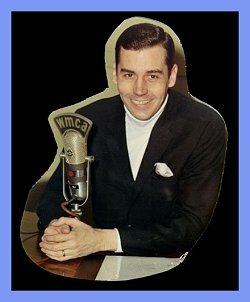 Harry Harrison WMCA Publicity Pictures! 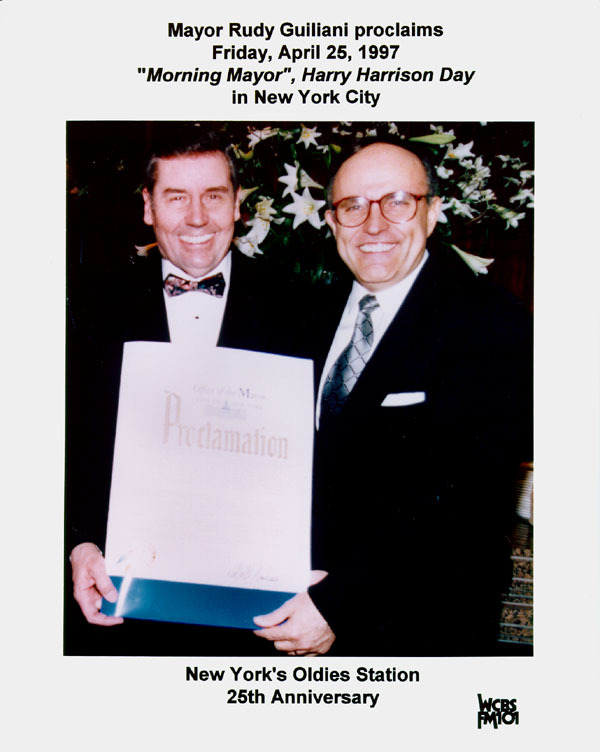 April 25, 1997: Harry Harrison Day in New York! in the New York Radio Personality Harry Harrison Remembers section!